Bordesley Park is a beautiful wedding venue, set in the Worcestershire countryside near Redditch. 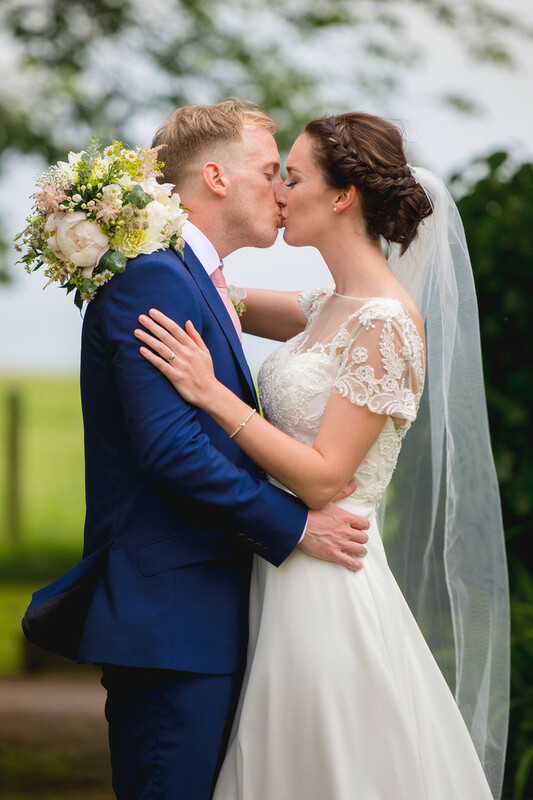 The venue features a converted barn for wedding ceremonies, a huge marquee for up to 200, and most importantly for wedding photos - loads of land! There are formal gardens, manicured lawns and even secret hideaways, all of which give ample opportunity amazing stunning wedding photos. 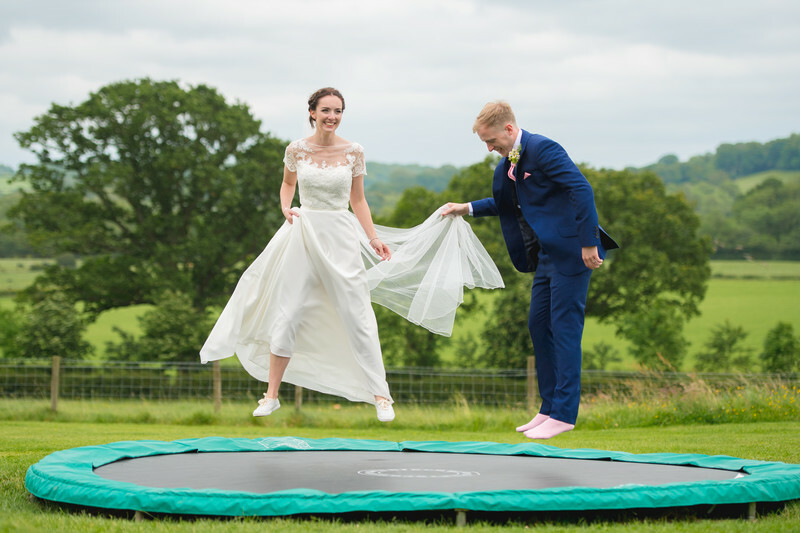 Joanne and Ben made use of the outside space, supplying their own outdoor games in order to keep their wedding guests entertained for the duration of the reception. One such game was a set of space hoppers, and everyone was racing up and down the lawn on them. 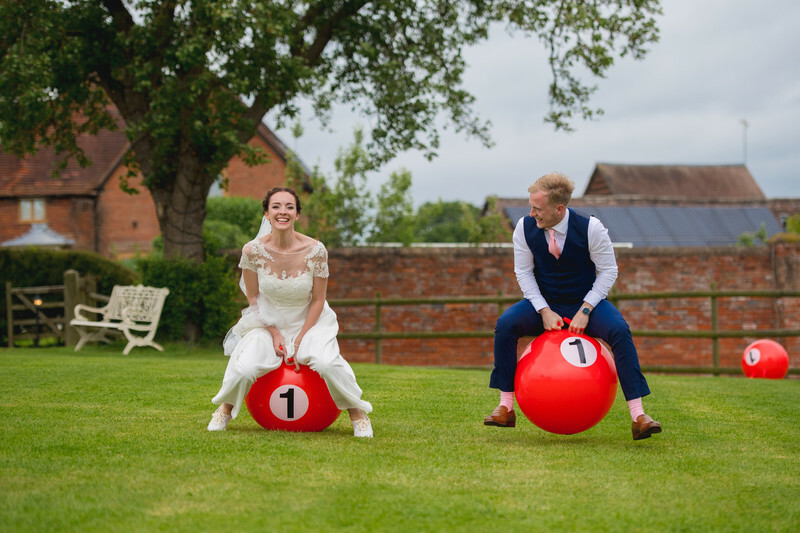 Having just come from Bordesley Park's trampoline, the bride and groom were keen to show their skills on the space hoppers! Joanne started by racing the other bridesmaids, with hilarious results. It turns out not all of the bridemaids were as coordinated as they had hoped. Joanne then turned her attention to her next opponent - her new husband. The paid lined up on the start line and really went for it! Ben was at a natural advantage in that he was wearing trousers, but that didn't stop Joanne from going on to win the race, despite Ben's early jump into the lead. The bride, groom and all of the guests had a lot of fun on the wedding day, as did I in taking their photos. We took some time away from the games to take some couples photos, and headed to a more secluded area of the venue. I think this is a lovely set of wedding photos, showing all of the fun and excitement of the day, as well as the couple's more tender and loving side.